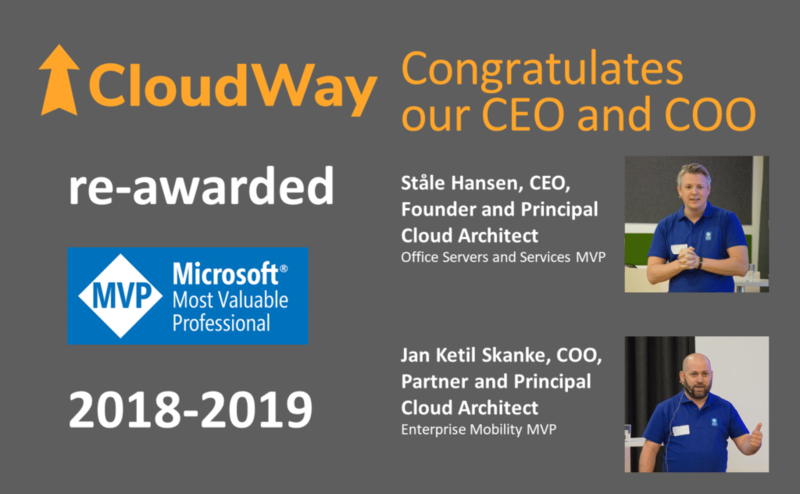 We are proud to be able to congratulate our CEO and COO as MVPs for another year based on their contributions in the Microsoft communities. One of their main contributions was to organize MVP Day Norway in 2017 and 2018. They are committed to the community and are the organizers of Experts Live Norway 2019. We look forward to see more of their activities in the coming year.